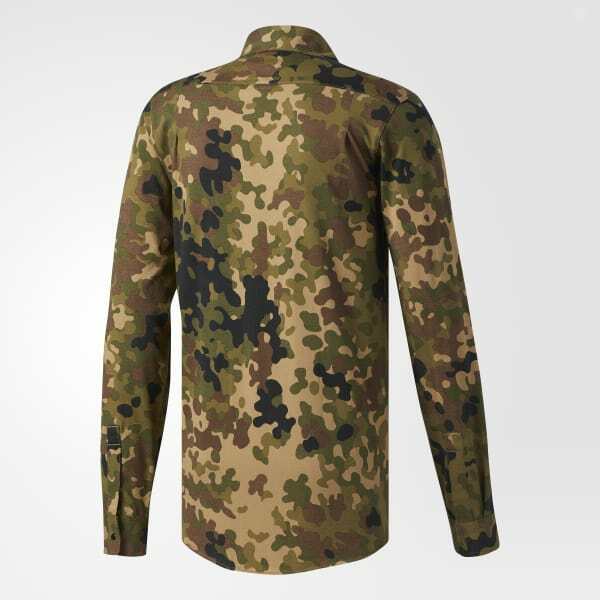 An allover camo-printed button-up shirt with built-in stretch. Inspired by the bustling energy of city neighborhoods. With a look that's always in on the streets, there's no blending into the background in this men's button-up shirt. 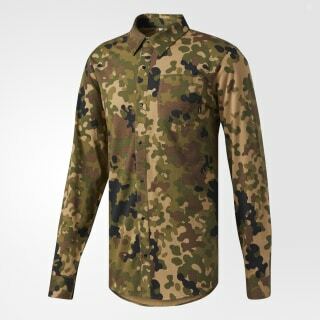 Made of stretch cotton fabric that's easy to move in, this shirt is inspired by stealthy, utilitarian camo designs, with metal snaps down the front and a chest pocket.